Introducing Corepics: We are: Hugo de Wolf and Jarno Kraayvanger. We are two photo professionals with a background in imaging, engineering and marketing. Together we are Corepics VOF. Our goal is to create cost and time effective, profitable, highly usable and versatile stock imagery. 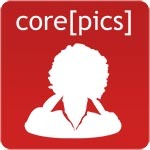 In the very beginning, this was mainly done through microstock, but as Corepics VOF grew, we expanded our scope and started contributing in the royalty free and rights managed parts of the stock world. This function has been disabled for Corepics Stock Production.